At Links Labels & Tapes, we are continually improving our processes in order to ensure that we are operating to the highest standard possible. It is for this reason that we operate and are accredited to the ISO 9001:2015 Quality Management System. Links Labels & Tapes is committed to protecting the local and global environment. 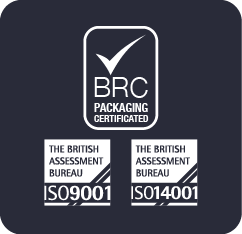 In accordance with its ISO 14001:2015 accreditation it undertakes to limit the effect its activities have on the environment by actively seeking to reduce the demand it makes on non-renewable resources and to minimise the amount of packaging waste created. See our Environmental section for more details.